With Mother’s Day being celebrated this Sunday, I wanted to pay homage to ALL MOTHER’S (and this means all individuals who fit the role of a Mother regardless of gender) who selfishly give of themselves, day in and day out. Holidays. There are so many holidays on the calendar that it’s difficult to keep track of them all. Some of them are legitimate and some are just made up for some reason or another. 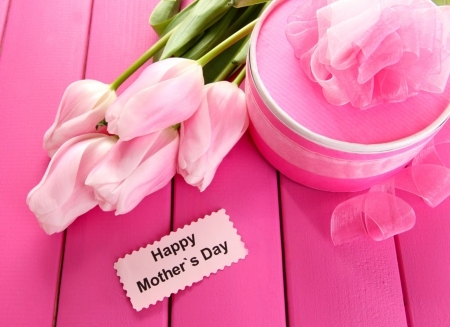 The one holiday that I truly believe is the holiday of holidays is Mother’s Day. The reason I say this is because, without Mother’s, none of us would be here. Sure, the Father’s had a little something to do it with it but the Mother’s are the ones that carry the burden. First, let me say I believe Merriam-Webster needs an update. Second, I apologize to all Mother’s, both female and male (who assume the role) for the insincerity of the definition. While I am no expert, and not a recent guest of a Holiday Inn Express, (hope you get the joke) I would like to give my own definition, or explanation, of what a Mother is. – can assume the role of caregiver of a spouse/significant other, parent or grown child when that individual is no longer able to support or provide for themselves. I could go on and on, however, I think you can see that a Mother cannot be defined by any one definition, especially by the definition provided by our friends in the dictionary profession. 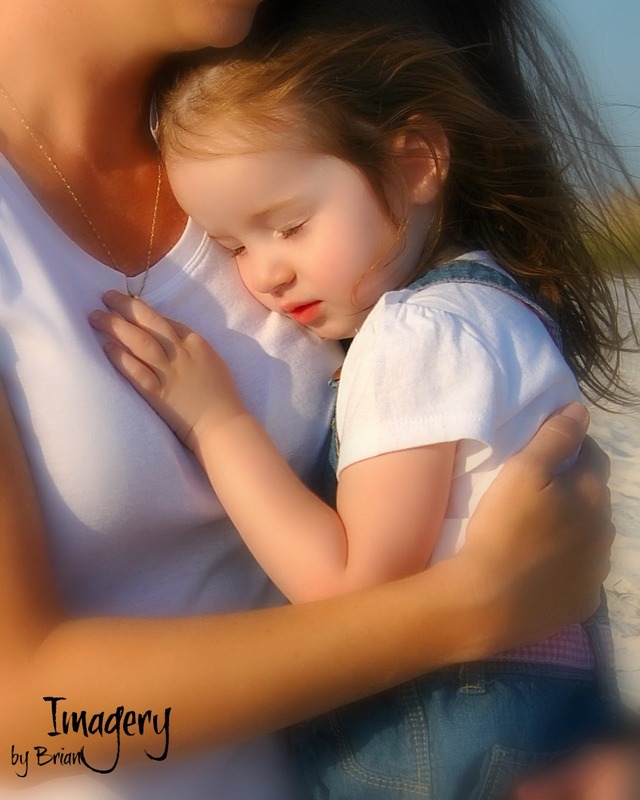 A Mother’s definition (can change on a daily or hourly basis or at a moments’ notice.) Defining a Mother is almost impossible because of the infinitive person he/she is. (My Mother was a stay-at-home wife and Mother. She not only cared for her 5 children (all born within 10 years) she also cared for my Father who, those of you that knew him, could be more than a handful. She did everything that was asked of her and more. As her own parents aged and then became ill (my Grandmother, unable to walk due to a spinal issue and my Grandfather with Alzheimer’s) my Mother and her sister cared for them. Later, my mother helped my Sister take care of her daughter, Mary, who was taken from us in 1998 due to Cystic Fibrosis. Then my Mother helped take care of her own sister Carol until her early death. She was one of the strongest women I have ever known, but I see a lot of her in my Sister as well as my wife Shannon, who is now my Primary Caregiver. Like I said about my father, those of you who know me understand what a job that must be for Shannon. She is more than a wife and Mother, to me, she is My Hero! So, for most of my life, I’ve been surrounded by these very strong women, women who have put themselves and their needs last for the benefit of the families they care(d) for. I know there are many other Mothers in the world who are just like the women I know and love, but as usual, they fly under the radar, some staying as far back in the background as they can so that their “SUPERPOWERS” can remain a secret. However, those that truly know and love them, their secrets have long been revealed. In my definitions of a Mother, one of the things I stated was, A Mother is someone who: rises from her sickbed to take care of her family no matter how bad she feels. When my Mother was stricken with Alzheimer’s, over time she forgot how to do things, forgot what things were, but she still tried. She still had that Motherly Instinct inside trying to get out. Finally, when she lost her ability to speak, she would sing. (She sang in church for over 40 years and she loved movie soundtracks, especially The Sound of Music. When she would clean, she would put that soundtrack on and just sing away as she cleaned the house.) Although Alzheimer’s took away her speech, she kept that perfect pitch. No longer knowing the words she would make up words or say la la la la, but I could recognize the song. I truly believe it was her way of saying, “Here, let me make YOU feel better by singing to you!.” Even if that wasn’t true, I don’t care. No one can disprove it so I believe it to be true because that’s who my Mother was . . . and although no longer of this earth, STILL IS! (As a side note, in the last few hours of her life, I was the one singing to her. My sister held the phone up to her ear and I sang her a song. (I’m not sure of the date of this photo but I do know this is the last photo I have of my Mom and me. She NEVER, EVER went out of the house without makeup on or her hair done, let alone take a photo with no makeup on so I didn’t dare post a photo of her with no make-up or with her hair not done. I wanted everyone to remember her how she was . . . BEAUTIFUL! At one point during my visit, she reached for my hand with both of hers and we just held hands in silence, looking at each other, she towards the end of her Life with Alzheimer’s and I, just starting out. I’m so glad I was able to capture this moment and although we were silent, I felt we had a great conversation. 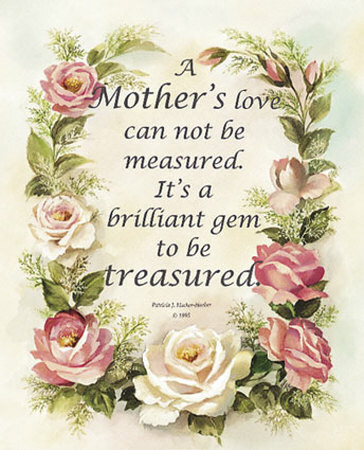 So to all the Mother’s in the world, regardless of whether you’re married, divorced, single, an adoptive Mother, a Father filling the role of a Mother, I hope your Mother’s Day is everything you want/need/hope it to be. We all know you deserve much more than just 1 day a year and hopefully, you receive it. (I will never forget one of the priests at St. Agnes Parish in New Orleans, Fr. McCallion. He had a very strong Northern accent, but it fit right in with what we call a “New Orleans Accent.” Anyway, even to this day, at the end of his homily, I can still hear him giving his Mother’s Day wish as only he could. It would get as big a laugh as it just gave me when I typed it. So, in the words of Fr. Mac . . . HAPPY MUDDA’S DAY to my Mom, my Sister, my wife and to each and every Mother who reads this! This post is a bit different from what I normally post. I don’t mean to offend anyone, I’m just passionate about what’s going in our Nation. For all the folks that want to open our borders to immigrants from other countries, immigrants who will be supported by us, I have a solution. Open YOUR home to support these individuals as well as their families, and be responsible for all of their actions. Feed them, clothe them and take of their medical needs. That is what you want for them, right? Giving them an opportunity, right? Well, now you can. No, I’m not being negative or prejudice. I’m being real. Why not take care of our Veterans who need our care? You remember our Veterans? The ones who fought for our rights and freedoms? Our Veterans who, because of their service to our country make it possible for you to stomp on and burn our Nation’s flag? Our Veterans who have to wait because a non-US citizen “needs” medical treatment because they matter more? Why not take care of our aging population, the ones who gave us life, the ones that took care of us first? Why not take care of those of us who have a fatal disease and put those dollars into research, respite care and hospice care? We need to take care of our own, before we begin to take care of others. I’m sure you take care of your families first, making sure they have all their needs met. Why can’t we, as a nation, take care of each other first and then, and only then, look to taking care of others? If you still insist on taking care of others first, let me know. I will gladly take donations to help fight Alzheimer’s Disease, the disease that assisted in taking the lives of many of my loved ones and will ultimately assist in taking my life. There are also other organizations that could also desperately use your help. If you still insist on taking care of others, open your home to a Veteran, a member of the homeless population, or any other US Citizen that could use some help. See what needs you can assist with in your own community. There are so many individuals right here in my community that are doing wonderful things for the betterment of the people that live here. They are awesome individuals who do these things, not to call attention to themselves, but because they are fulfilling a need for the individuals that live here. Now, if you are STILL not satisfied, I’m sure there are many Middle Eastern Countries that will welcome you, as well as your support, with open arms and will even provide you with free housing. It may be cramped, dirty, hot and uncomfortable, but don’t worry, your visit will not last very long. Yes, I’m talking about “THE” Happiest Place on Earth, Walt Disneyworld. However, it’s not for the reasons you may think. For those of you that don’t know the in’s and out’s of Alzheimer’s Disease, the first thing to go is the short-term memories. It’s why I have trouble remembering things from day to day, week to week, etc . . . However, talk to me about things from the 60’s, 70’s and 80’s, I’m as clear as a bell. So I think it’s awesome that a Town Square atmosphere is going to be built specifically for Individuals with Alzheimer’s in mind. It will put them in an environment where they are comfortable, non-anxious and happy. So what does this have to do with WDW? I knew you would ask that question sooner or later, so I am prepared to tell you. My first time going to WDW was in 1976. At that time the park was only 5 years old and the Magic Kingdom was all there was. Since that time, I have been back at least 15-20 times. I’ve lost count. I have seen it grow from just 1 park to 4 and I have been so many times, I know where everything is. The last time I was there was in September. Shannon surprised me with a trip for my birthday. We had such a wonderful time. One thing that stood out, and still does, was when we were waiting for the Wishes Nighttime Spectacular (the fireworks). Shannon had to go to the restroom so I stayed where we had found a good spot. Several minutes later, Shannon called to tell me she was lost and couldn’t find me. She was more worried about me than being lost. I talked to her to find out her location and I knew right where she was. I told her to look for the light. I turned on my phone’s flashlight and held it up, shining it in her direction. She saw it and followed it back to me. On our last day there Shannon and I were talking about how much fun we had and then, she told me this . . .
With that said, she took me to the ticket counter and upgraded my park pass to an Annual Pass. She said, “I want you to come back here as often as you can, take as many photos as you like and just be who you used to be.” I didn’t know what to say. I was elated, emotional, speechless. I didn’t think it was possible to fall more in love with her than I already had, but I did. And no, it wasn’t because she was giving me this gift, it was the reason why she was giving me this gift. She wanted me to feel normal.She wanted me to feel how I used to feel. She wanted me to have the clearest, non-foggy mind I could possibly have in a place I knew so well. On the ride back home, I thought a lot. I tried to think as to why WDW transported me back to an earlier, normal-brained time. I knew part of it was because I had visited there so many times that everything was familiar. However, something just didn’t click. I was still unsure . . . until I spoke with my sister. When she asked that question, a wave of emotion washed over me, just as it is now. I started hearing the sounds, the musical sounds of WDW, in my head. It wasn’t a particular sound or a particular song, it was just the most beautiful, joyous, happy sound I’ve ever heard. Linda, reminded me of my love of music and how musical therapy (listening to your favorite songs from years gone by) can transport you back to a particular time and place. All the pieces of the puzzle fit together and I finally had the answer to my question I had been pondering since September. I’m not sure why I didn’t think of the music but then again, I’m not sure what I think or don’t think anymore. The reason I am bringing this up now is next week, I will be in Orlando to be on a panel for the The National AT Aging and Dementia Decision Tree Workshop. I am going there a little early so I can make a quick visit to WDW. Call it being a “kid at heart” or call it “just wanting to feel normal.” I just want to be who I was before Alzheimer’s came along and robbed me of so many things. Thank you Shannon, for giving me a gift of love, a gift of happiness, a gift of normalcy. Whether you are there with me or I’m by myself, you will ALWAYS be in my heart. In honor of National Alzheimer’s Awareness and Family Caregivers Month, I wanted to take a moment to Honor Shannon, Asheton and Bradley, for doing what they do, day in and day out, to support me as we all travel along on this Alzheimer’s Journey. I often think back to our wedding day. It’s still far back enough in my long-term memory that I can recall a lot of the details. I also have photos I can refer to when my memory gets clouded. It was sunset, a cool afternoon on Pensacola Beach. Your family, some of my family and a few close friend had all gathered at the edge of the sand awaiting your arrival. The minister gave me instructions to not look back until he gave me the go ahead. He told me when you started walking down the steps towards me. I could hear comments of, “Oh, how beautiful!” and “Oh my God, she looks so radiant.” I’m sure there were others but I don’t remember those. Then he told me to turn around. I’ve never before had my breath taken away nor has it happened since. It was a one-time event . . . so far. When I turned and caught sight of you, I literally couldn’t breathe. I could only stand and stare at this beautiful woman, dressed in white, walking towards me to become my wife. I had never seen anything or anyone so beautiful. I do know that somewhere, mixed in with our own words, were some of the more traditional “wedding vow” words, particularly, for good times and bad, in sickness and in health. When we finally got around to saying our “I Do’s”, I wasn’t just marrying you. Your children were also accepting me into the family. Back then, we had no idea how true those traditional wedding vows would ring true. Over the course of our marriage, as a family, we have dealt with major and minor surgeries, cuts and bruises, illnesses and just plain everyday stuff. We got through it all with the support of each other. The reason I bring this up is because each time something happened, we healed, we were able to return to whatever was interrupted. Now, it’s different. You and I both know that I will never be healed and I won’t be able to return to whatever has been interrupted because there is no returning to what was. I try to not think of that and think more of the positive, to remind myself to “Live in the Moment”, to enjoy those moments and attempt to hold on to as much as I can. You don’t seem to let too much stop you, or at least you hide it very well. Instead, you have stepped up your game. You have readjusted your life. Asheton and Bradley have readjusted their life, but none of you complain. You allow me to do what I “think” I’m able to do and you allow me to fall, both figuratively and realistically, and the three of you are always there to pick me back up and get me back on my feet. You’re always there, but never in the spotlight. Unlike me, you’re a behind the scenes type of person, staying in the shadows. Asheton and Bradley are like you in that aspect, allowing me to do what I do but still getting 100% of all of your support. They had a very good role model. The three of you have allowed yourselves to appear on TV, radio, newspapers, magazine articles and so forth, all on my behalf but also stepping outside of your comfort zone for me. I can never thank you enough for everything all of you do but I try to show my appreciation each and every day. I know our future is both known and unknown. Most people say the unknown is what scares them. I think it’s because they don’t know “the known.” We do! It makes the unknown a lot easier to navigate. I’m fortunate to have 3 travel companions coming along with me on this journey and I couldn’t ask for anyone better. I know I thank you for something several times a day and you graciously accept it telling me, “Oh it’s fine. You would do the same for me.” I see Asheton and Bradley wearing their purple Alzheimer’s shirts to school, while shopping, going to movies, etc, and you wear purple more than I do! As I said before, I couldn’t ask for anyone better. I don’t think I deserve what the three of you do for me, especially for what I put you through on my bad days. I wish I could control that part but unfortunately, I can’t. No amount of reminders on my phone or Post-Its seem to stop the fog from rolling in. Along with being National Alzheimer’s Awareness Month, it is also Family Caregiver’s Month. I know you like the term Care Partner better than Caregiver but I didn’t create the term. If I did, you know I would have come up with the correct description. To me, we are explorers, traveling on a Journey, making new discoveries each and every day, never knowing what is waiting for us around each bend. Thank you for taking my hand, letting me lead when I can, you taking the lead when I can’t and just being by my side every step of the way. I love you more than you can ever dream possible.